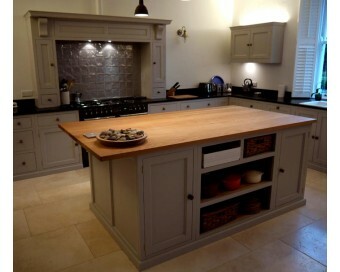 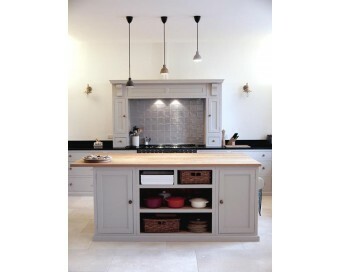 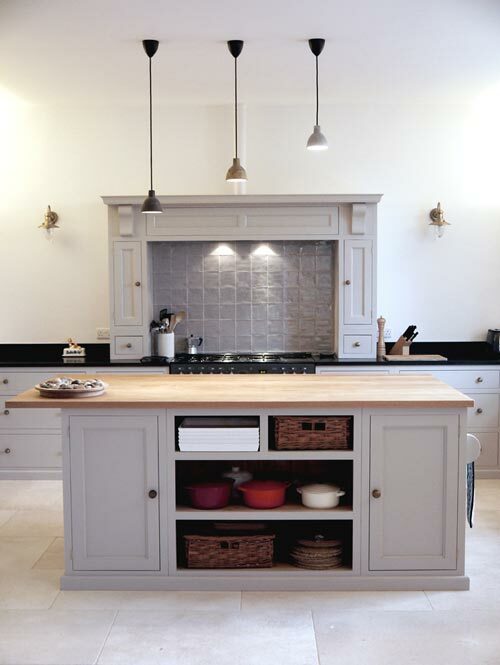 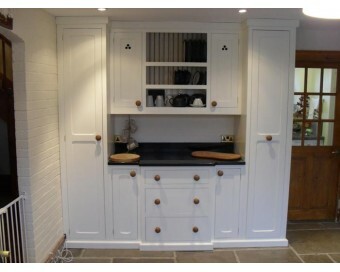 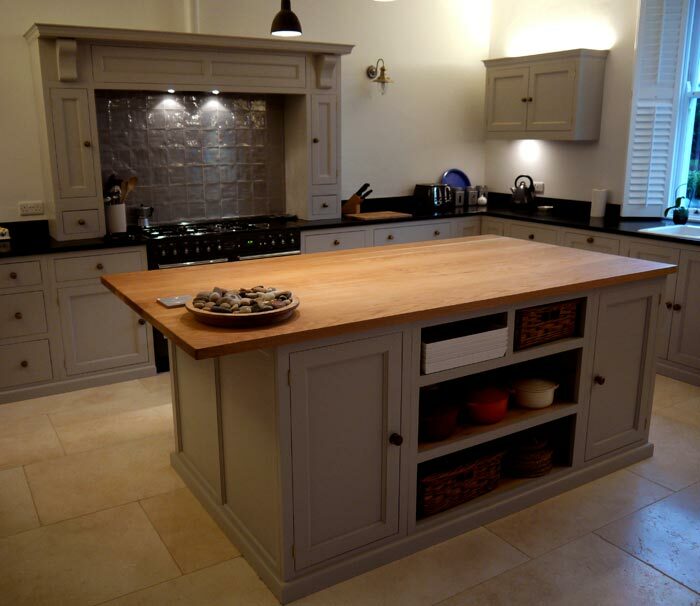 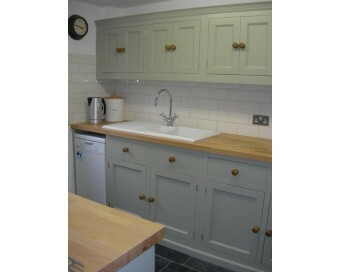 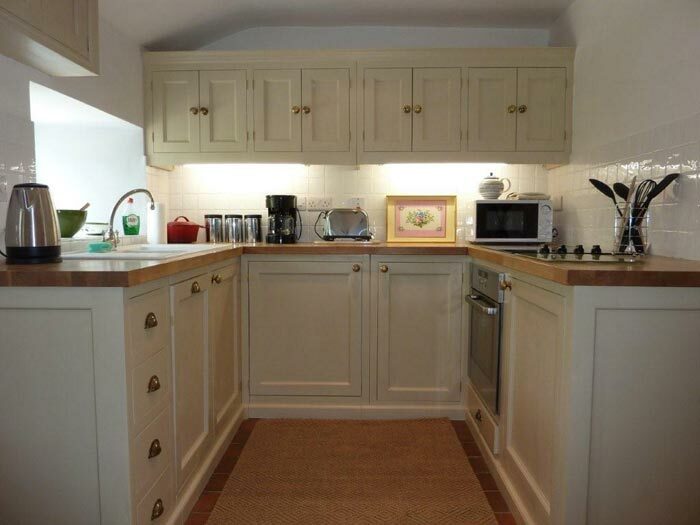 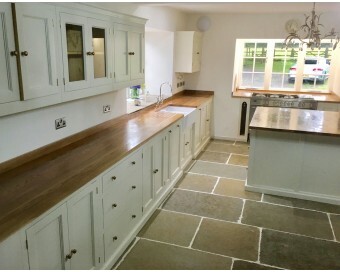 Our Cottage range kitchens are handmade from solid wood here in the UK. 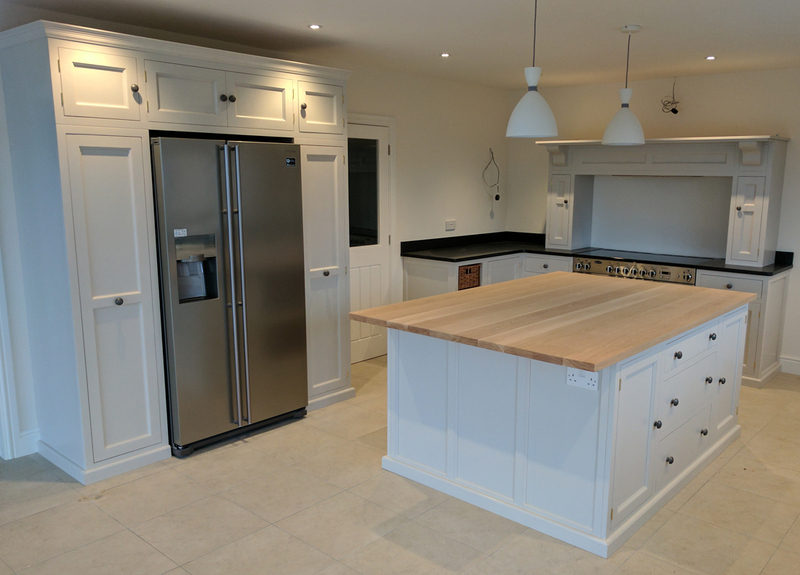 They arrive on site as pre built, freestanding, pieces of furniture and are then fitted together to form your dream kitchen. 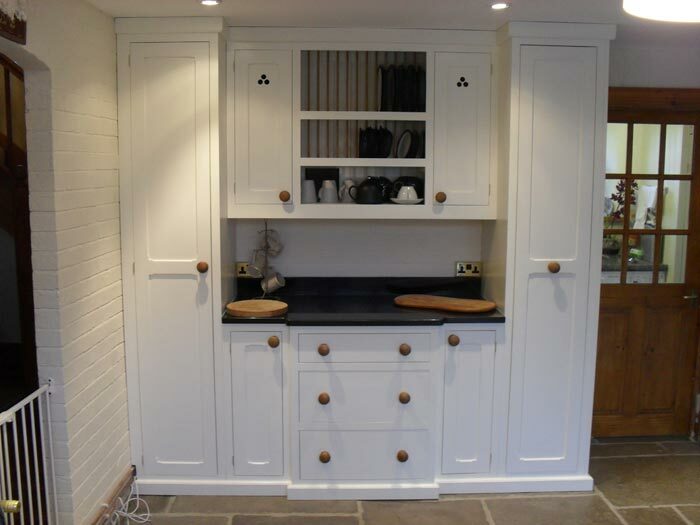 As each cabinet is built from scratch we can make them to any height, width & depth making them perfect for difficult or small spaces and they really get the most out of your room. 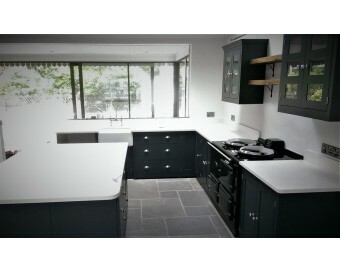 There are no pre fabricated 600mm boxes here to restrict the design process and to waste valuable space! 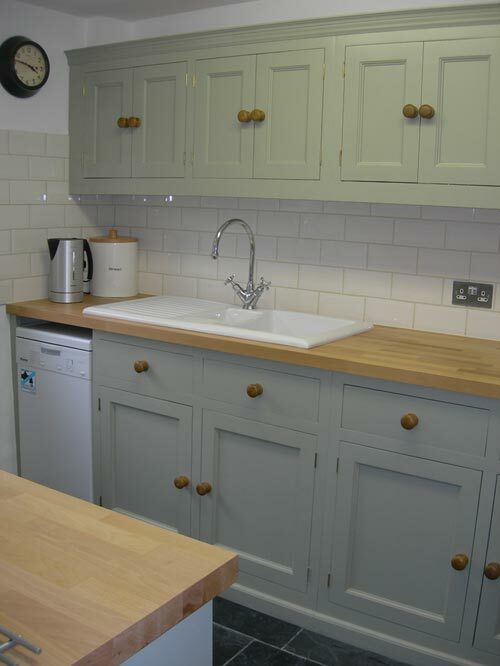 The Cottage range is made entirely from new pine from FSC certified sources in Europe and is then spray painted in your choice of colours (most people choose from the Farrow & Ball range). 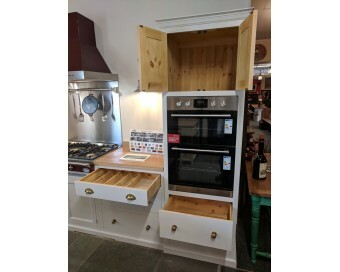 Like all of our furniture is has a beautiful handmade look that oozes quality and looks great in any home from a rustic cottage right through to a modern townhouse. 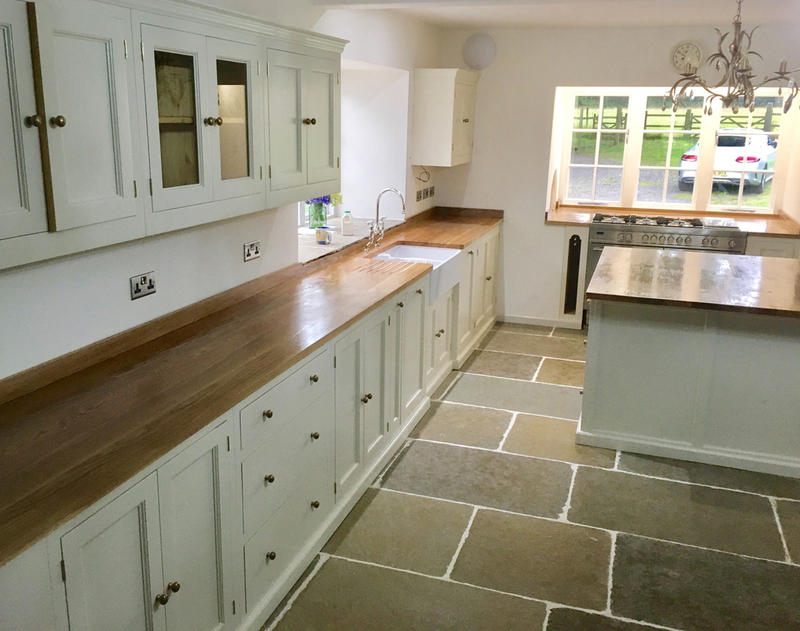 The Cottage range has a choice of 3 door styles: Standard Bead, Stop Chamfer and Shaker and you can choose to have the skirting fitted or hidden so that the legs are visible (for the full freestanding look). 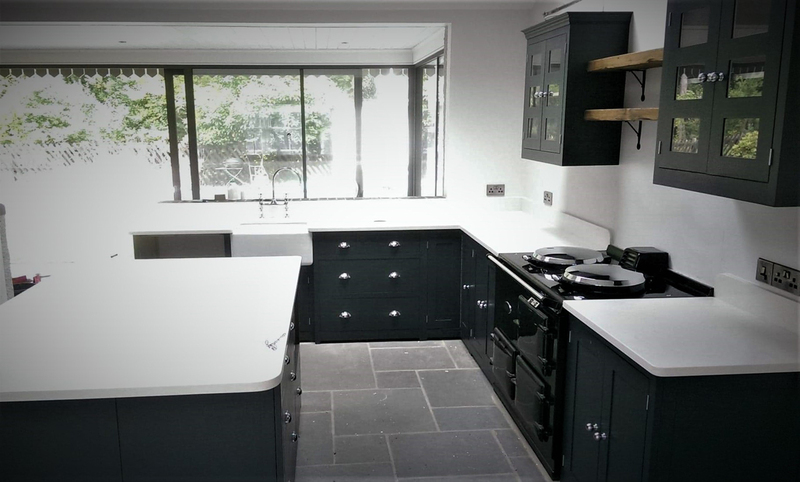 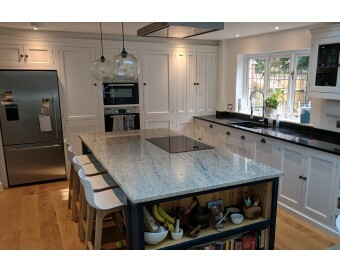 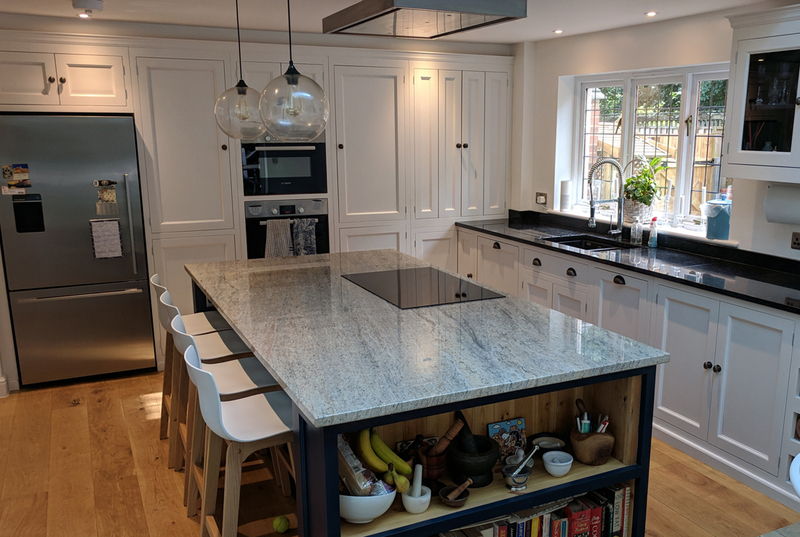 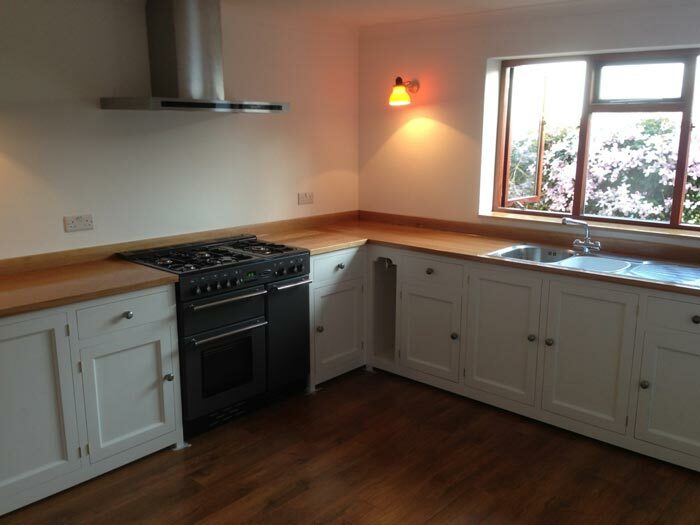 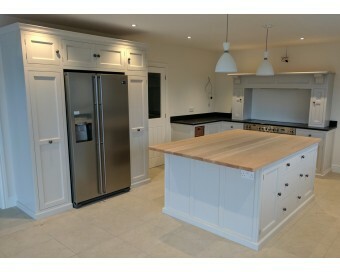 We can fit integrated appliances, magic corners, soft close drawers and any other design feature that you would expect from a modern kitchen whilst still keeping the traditional ‘country kitchen’ look and feel. 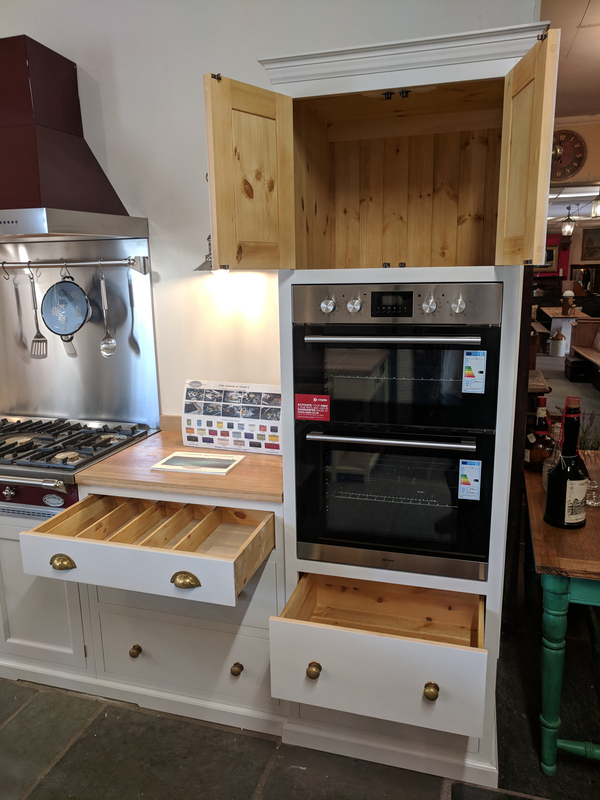 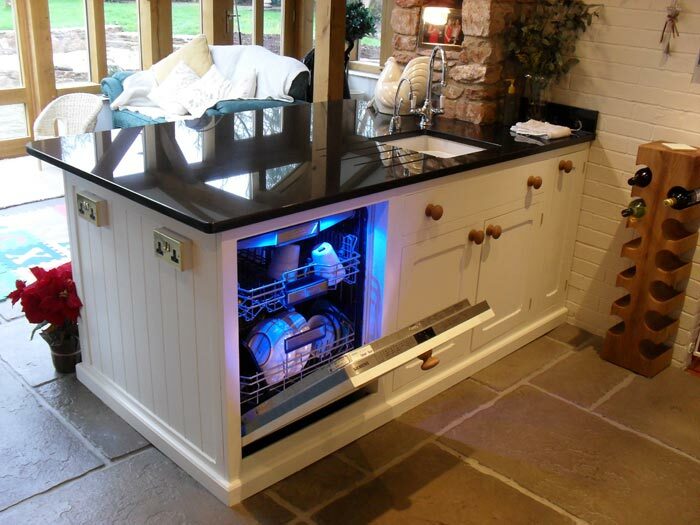 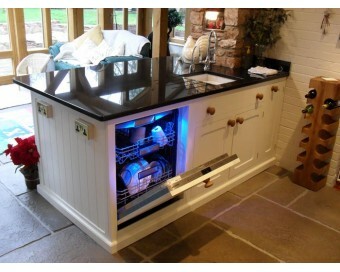 Once you’ve decided on the range of cabinet you want you can then choose from our wide selection of worktops, door furniture, sinks, taps and other finishing touches like handmade Somerset baskets & clay wine pipes. 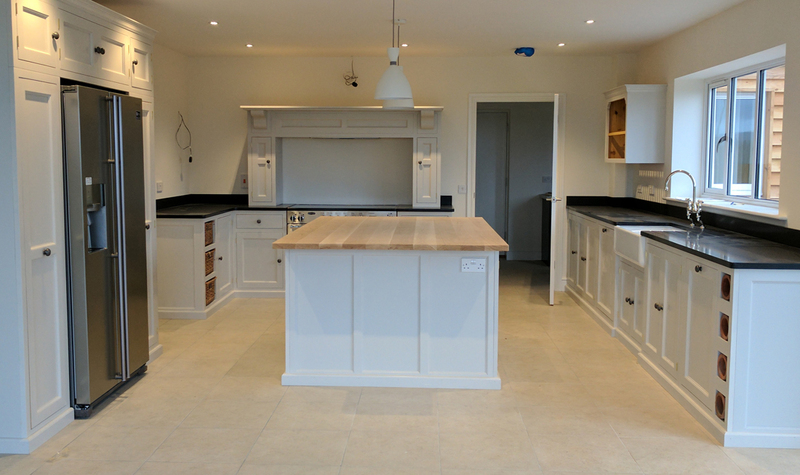 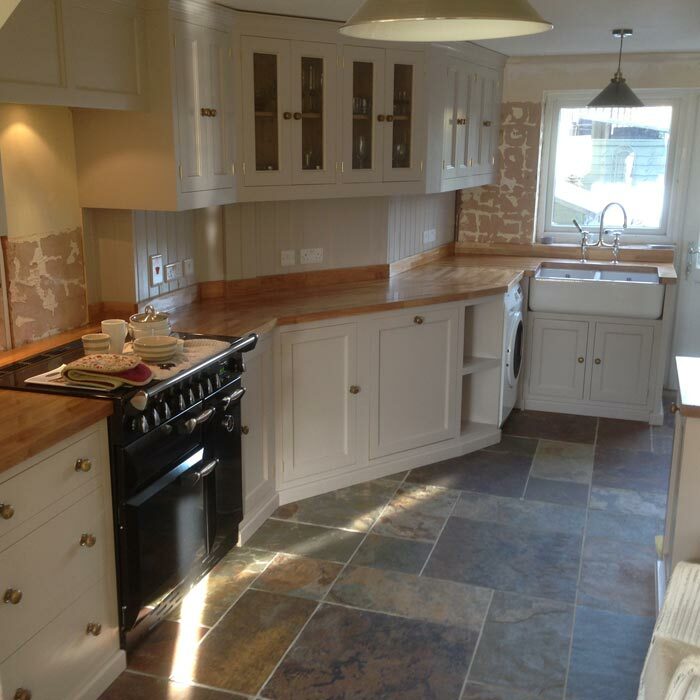 Build time on the cottage range is approximately 8 weeks and fitting takes about a week depending on size of kitchen and which worktops you choose. 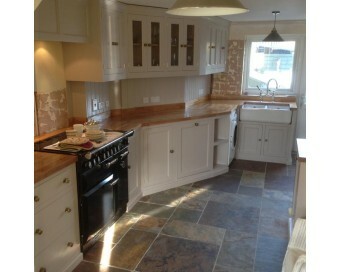 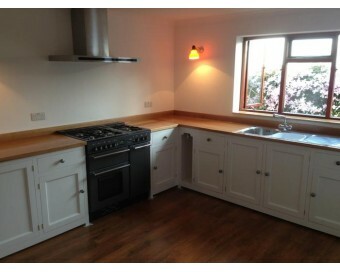 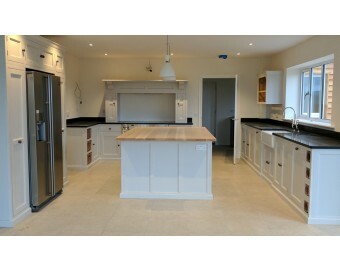 We have a full cottage range kitchen on display at our Exminster showroom so please do pop in for a look!